This month’s newsletter is the final in the series about editors—and we’re talking proofreaders, the people you hire in the final stages of your project. You may have already employed the services of a developmental editor and a copyeditor by the time you hire a proofreader, or you may have even worked with several editors. This shouldn’t dissuade you from hiring a proofreader. 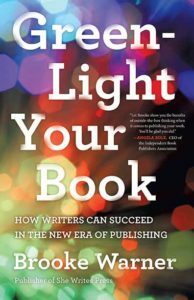 Writers—and readers, too—are under the mistaken impression that editors catch every single error, and that if a book has been copyedited then it’s finished and ready for publication. Wrong. Proofreading is a final pass on a document, manuscript, or piece of content. It’s different from line editing because a proofread shouldn’t entail substantive changes. A proofreader will note strange or wrong word choices. They will note redundancies (e.g., “This deep-felt experience resonated deeply.”) Now, it’s true that a copyeditor should have/might have caught something like this in the copyediting phase, but a proofreader is wearing a wholly different lens when they’re looking at your work. They are not reading for structure or logic like a copyeditor is. They’re looking for dropped words, and if a book is already formatted and/or designed, for mistakes a manuscript might contain as a result of being designed—things like bad breaks, inconsistent fonts, or wrongly formatted headings. I said in last month’s newsletter that if you only hire one editor, hire a copyeditor. It’s absolutely possible to take your manuscript to an agent or to shop your book without being proofread. I often see proposals and manuscripts that contain errors and it doesn’t make me want to write those authors off. However, if I’m looking at something that’s unsolicited, and the query letter and proposal are riddled with small errors, that’s a whole other story. Obviously good punctuation, spelling, and grammar make a good impression. If you’re unagented and trying to sell your manuscript directly to a publisher, it’s worth having a proofreader go over your work. If you’re self-publishing, do not skip the proofreading step. Most books, even after they’re proofread, STILL contain a handful of mistakes. You will be surprised and horrified by how many small things your proofreader catches, so be thorough and consider the value of that final few hundred dollars. After all, some agents and acquisitions editors are much more unforgiving than I am. How Do I Work with a Proofreader? Most proofreaders still mark up hardcopy pages. There are ways to proof online, and I still don’t like them as much as a good old-fashioned red pen on paper. So you can send your proofreader your content in the mail and they can mark it up and send it back to you, or you can consider an online method if it appeals to you. What’s important is what you do after you get your corrections back. If you do not know proofreading marks and you’re not editorially inclined, then you might want to consider working with your proofreader, copyeditor, or designer to implement the changes the proofreader made. All too often I see writers implementing perfectly good changes and introducing new errors because they don’t know any better. So be careful. Establish a process or this entire step might be for naught. Be careful about hiring your best friend who’s a “pretty good proofreader” or your daughter who “passed the AP English test.” Unless they are trained proofreaders, they’re not proofreaders. They might be very skilled and have good instincts. They’ll probably even catch some errors. And, yes, if you’re not going to hire anyone then certainly have someone you know look over your pages for you. But understand that a good proofreader is someone who’s going to go over your pages with a fine-tooth comb. And they will, I promise you, blow your mind. I enjoyed your clear rundown of the roles of each type of editor, and bet it’s been helpful to many readers. I have just one little point to make. As an editor as well as a writer, I was surprised you more or less dismissed online editing programs. I’ve used Word’s “track changes” for many years with clients, and it seems to have worked very well. One thing I like is that I am able to make the changes I feel are necessary, then add a comment in the margin to explain my change if I feel that’s warranted. The writers can then and decide for themselves whether they wish to accept the changes or not. I feel this method leads to fewer introduced errors — as you say, making marks on paper is hazardous as writers can introduce new errors as they incorporate the editor’s changes. So, i.e. is used when you want to put something another way in order to clarify it; e.g. is used for a simple example, as here. Thanks for the suggestion for “e.g.” over “i.e.” I will make the correction! As far as tracked changes goes, I suppose I dismissed them, but only in omission. I love tracked changes and I use them as a matter of course in my editorial work. The point at which you use tracked changes, however, is still editing. Proofreading should only happen once you are completely finished with your manuscript—no more tracked changes! So yes, I’m a huge fan of tracked changes and think the process has essentially replaced hardcopy copyediting, but not hardcopy proofreading. I just sent you two responses, and now here’s the third — sorry! When I re-read the first one after sending it, I thought it sounded rather snarky, so I re-wrote it with more specifics, and even corrected an error! Maybe I’ll be in touch one day about another book project. I do remember you! Thanks for writing. How strange that your husband had a stroke after that. I can only imagine your expertise in that area helped him tremendously. Thanks for writing. I don’t mind being corrected. I appreciate your thoughts.